Who doesn't love pizza? It's the perfect food as it’s simply delicious, and easy to grab and go. 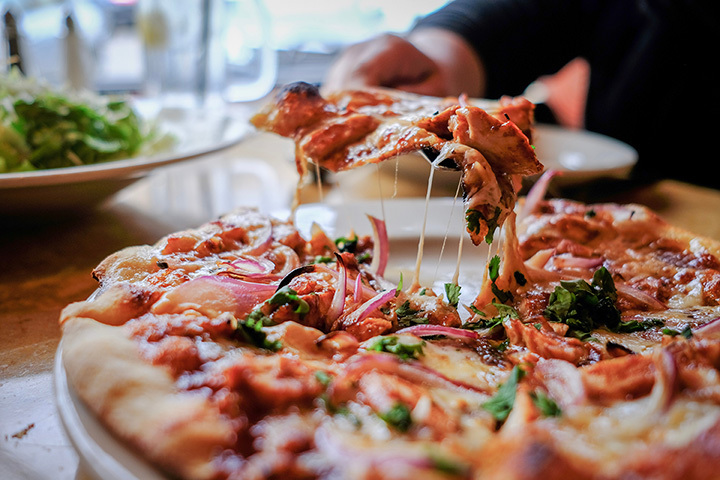 Whether you are a traditional pepperoni fan or crave something more creative, Nevada has many yummy pizza places to try. Be ready for that next craving, explore our choices for the top 10 pizza places in Nevada. Pizza meets innovation with this new twist on a pizza joint. It is an adventure to watch your pizza be made to order in front of you and then in minutes cycle through the oven. The pizza is exactly what you want because you call the shots. The ingredients include the basics and some not-so-basic choices. This pizza rocks, literally! This edgy spot serves some of the best pizza with amazing music in the background. You wouldn't expect anything less than this comfort food meets rock n’roll in Las Vegas. With 12 Pizza Champion titles under their belt, this place comes to win. Fans of a good brick oven pizza flock to this Reno favorite. The pizza is authentic and the dough is amazing. This family-owned business takes pride in using their own recipes including the dough. Simply the best thin crust pizza around. This family-run pizza company puts their customers first with gluten-free options and something that will thrill even the pickiest of eaters. Amazing ingredients with unique sauce choices make this pizza place a local favorite. The thin crust is just about perfect but then so it the deep dish. The White Top pizza will make a believer out of you. Good food to order without the frills. There is no fuss of muss here, just true pizza artistry. This little spot is away from some of the flashier things in Vegas but its worth the effort to find the local gem. They have become more popular after an appearance on the Food Network. Their pizza transports you back to the street cafes of Italy. This is as authentic as it gets. Attention to detail is what they are known for and is what keeps people coming back. The thin crust pizza hot from their brick oven is the best item on the menu. This small chain is the best pizza in town. They are family friendly and known for supporting the hometown team. Most families grow up bringing the kids here for their favorite food, pizza of course. Beyond feeling like home, this place uses the freshest ingredients around. They also offer a full range of ingredients. This is the pizza that put Brooklyn on the map but then made itself all the way to Nevada. The ingredients pay tribute to Little Italy with just enough sass to be a New Yorker. The fresh mozzarella on the pizza is amazing. Sometimes all you want is a pizza that takes you back to your college years. When pizza was hot, fresh and you knew exactly what to expect. This is a throw back to the basic pizza with the most popular ingredients readily available.